something this guitar player can only dream about making...This stuff rocks my world!" Very nice work and well targeted submission.... your work, as always, was noted as very commercial in both its style and its format, and that is a high compliment from a commercial publisher like Sweet Rosie Music. Keep up the fine work, Ted, and thanks for considering us, once again, for your publishing needs. "Ted, These lyrics are both creative and daring...very nice work. Your songwriting craftsmanship is always so obvious. Sorry but we don't feel this song is a hit song...but we sure do appreciate your talents. Sincerely, The A&R Staff Sweet Rosie Music"
The melody and arrangement are very nice. The chorus lyric is a little too close to the beatles concept. Really enjoy the "Band" production approach. Very heartfelt lyrics with the right amount of emotional delivery. The production is well suited to the intent of the song. Faith: Great song Ted. Really good!! It's a good song; just not what we're looking for. This time it's a no, but we enjoyed listening- The SkyTone Team. meant he’s recorded some music I’d describe as great, and just as many songs I would describe as . . .
seem like an album that is just hacked together from miscellaneous tracks, like some of Ted’s albums do. o favorites. Why is this, you might ask? Because most of these tracks are my favorites. “I Want My MP3” that gave Ted a look at the spotlight on mp3.com, and it was the first of his songs I ever heard. I still enjoy listening to it, and that says something of his staying power. “Always Love” is another groove filled track. The stomping beat, uptempo bass and guitar and catchy vocals make this a song that is more than just worth a listen. much like songs off Billy Joel’s early album Cold Spring Harbor. Ted’s your man, and you’ll enjoy this album as much as I do. YOU HAVE SOME great TUNES!!! see too often. Uncontrived and inspired by real life...It's the kind of music I grew up with, so I relate to it well. Good Stuff! Ted, I could write on about all the various sounds I hear in your music, but I'd probably be writing forever! especially. looking forward to hearing more of what you do, over time. all the best! job, relationship, parent or any where else where you are not being heard! Very nice guitar work. Dual guitar leads and back and forth play in the musical interlude work very well together. 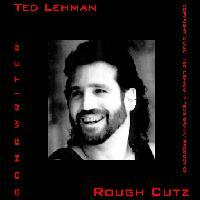 Ted Lehmans a cool seasoned singer/songwriter recording in a bluesy rock style.. I really like Old Friends..
carrying some good spirit from the 70s on its journey into the new millennium.. Very cool arrangement. I really liked the vocal. The theme is well represented by the lyrics. You touched on the emotions of most people who love this holiday..
and why this has become a special holiday for everyone who loves associating this with family.. and friends. Always like hearing a new Ted song. The listener never remembers what they heard, only what they feel. My first thought when hearing this song was whoa..cool song. It has that pro quality sound to it, something all us independent home recordist try to strive for. a generous amount of blusey guitar fills to keep guitar fans more than happy. "Sweet Home Alabama" vibe, albeit in a more of a mid-tempo setting, but very cool needless to say. Be sure to check out some more cool Ted Lehman songs by clicking on his official website link on his Download.com page. the synth and piano tracks on this one must have been fun, they sure are a pleasure to listen to. already swaying and toe tapping mood. The rhythm guitar gave way nicely to the ivory on the lead. that brings out the wonderful parts of Ted's voice. Strong and outdoorsy with a conversational style. thing is that she already digs Ted, too! No more Dead - I'm listening to Ted! That woman hates protest music. Review: Excellent song to the the rock-n-roll anthem for any MP3 site. Great vocals and a song that rocks. as an honorary digital recording it's so clear). Ted peddles this one as "great! garage". and the little ones right in front of the stagewhirling around until they fall down silly. so exudes the joy that Ted brings to his art, you gotta kinda wonder, "Is there a Dark Side?" music and arrangement, and I've come to the conclusion that it's all in the delivery. The "happy and exuberant"
omeone could re-portrait the song into a dark genre using a dobro, reinterpretation of the lyrics, and an upright bass with a fiddlestick. in half a sentence, Ted is happy to be doing this. It might be that simple. I'm getting to expect from Ted/the Boys, a pretty good harmonica part. once just to get him mad, and then record the song. That would be the "garage" version. Another good Ted tune. Neither your children or their grandparents are gonna be hankering atcha to turn it off. Mr. Marley. Actually, I think Don's version sounds a little more like Lounge than Reggae. "Old Friends"
generations to admire. It's a standard that will stand the test of time & even make your soul mistake it for Mecca." Riddler J.
needed to be, and there really wasn't any aspect of the production out of place. discrepency between the musicality and the lyrics make for a deeper irony toward the resolution of the song. and it works, in my own opinion. But the guy's been at this a long time and pretty well has in hand what he can and can't get away with. Not a trendsetter, but a very cleanly preformed and recorded track that won't make your family mad if you play it on a roadtrip. listening to lofi streaming through high end audio equipment and headphones. minutes. The principal components of the work are an acoustic guitar, an electric lead, and one vocal. for at least half the song! I was mostly focused on the triad thing Ted had going with his voice and the guitars. Personally, I didn't think that the keyboard either added or detracted from the song. I was getting way focused on that triad thing. The vocals were something similar to a Jerry or Joe Walsh psychodelia lead. Much of the song (especially the electric guitar) reminded me of going to a Ted Nugent show. The words were fairly crisp and easy to understand. The track had no superfluous to it whatsoever. No unneeded additional vocals; no extra guitar that could have been left undone. I'm beginning to characterize Ted's stuff in my own mind as "busy", but only exactly as busy as required. balance like this requires alot of experience, and I'm finding that on Ted's stuff. connect it with an entirely different feel. some tongue-in-cheek with it that I've yet to absorb, but the buzz is there. Totally nice job. If I had to specify a wanted Ted CD, I'd have to go with the one this one's on. shouldn't even try drinking whiskey around this song. Alabama as the one favor I could ever ask of them, I would do it, and I would most likely succeed with it. For the less cynical non-country fan listening to this song, it kinda conjures up The Doobie Brothers. It's freewheeling, it's pretty fun, and runs out like a five minute saga that doesn't clutter yer head with anything heavy. o tasty piano). Nice drumming and highly capable guitar round out this five minute song. more potential hits aren't we getting a chance to listen to? they have expressed interest in receiving this type of song. Very strong song. This is a cute song with a fresh lyric theme. The melody is catchy and well written with a catchy hook. honest - First line makes me want to hear more, a solid country song. Good luck to you. definite blues feeling to it. Chorus is a listener's dream--melodic and easy to remember. nice work. Ted, I could write on about all the various sounds I hear in your music, but I'd probably be writing forever! I like how versatile you are as a musician - great songs both lyrically and musically, and they're really well-performed with obvious presence. I really love your guitar in everything I've heard here, especially. looking forward to hearing more of what you do, over time. all the best! This, is the real thing. As roots as roots gets. There is a realness about Ted and his tunes that you don't see too often. Uncontrived and inspired by real life. I think that due to the live nature and average sound quality of the recordings themselves, it does not lend to a fair representation of how good the songs really are. Ted, you have to do a studio recording of some of these tunes, they are good songs. The drum sound needs work, it will give a little more dynamics to the whole. I would like to hear your vocals on a good condenser mic. You have a strong, rich voice that you should showcase more. It's the kind of music I grew up with, so I relate to it well. Good Stuff!